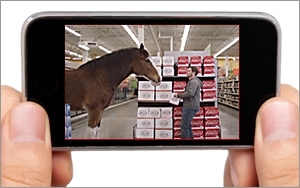 Location-based advertising is in use all over the world, according to mobile ad platform xAd. But the results are a mixed bag. xAd sent out a survey to which more than 500 ad agency leaders and marketers from 11 countries in North America, Asia-Pacific, Latin America and Europe responded. This might be surprising, given that eMarketer reported that mobile ad spending in all four regions (North America, Latin America, Europe, and Asia Pacific) would reach $67.1 billion this year. Additionally, all four regions expect mobile ad spending to increase, with the most growth happening in Latin America and Asia Pacific. While most marketers are using location-based advertising, the top strategy they employ is audience targeting, rather than proximity targeting. Marketers are starting to capitalize on the wealth of data flooding in from mobile devices and using more nuanced approaches to understand the intent and interests of consumers in a specific location. Retailers worldwide dominate location-based advertising. A previous study by xAd in 2014 showed that 1 in 10 consumers who viewed a location-based retail ad visited the store within 30 days. Bankers had a high rate of location-based ads in Asia Pacific and Latin America, where consumers use mobile devices as their primary means of Internet connection. The ability to measure the effectiveness of ads appears to be a limiting factor in the growth of mobile. Three in 10 marketers surveyed said one of their top concerns in mobile was the ability to measure success, which may hold back some of their spending. Consumer context is becoming more and more accurate every day, and globally, marketers are just starting to understand how to capitalize on all this data. 1 comment about "Mobile Marketing Important To Advertisers, But Not Top Priority". Maggie Shea from DialogTech, July 28, 2015 at 9:28 a.m.
"Three in 10 marketers surveyed said one of their top concerns in mobile was the ability to measure success." A recent mobile metrics advancement and useful measurement tool is a mobile call tracking solution, which DialogTech has roled out within the last few weeks. It allows you to get keyword attirbution from Google call extensions, while also understanding consumer context before, during, and after a phone call is made on a mobile device. Something to consider for companies who recieve inbound phone calls and have click-to-call!